CARACAS - Holders of one of Venezuelan state oil company PDVSA’s distressed bonds will by Thursday receive an amortization payment that was due last week, according to a message from U.S. trust company DTC seen by five market sources on Tuesday. The news confirmed that the crisis-stricken nation is continuing to prioritize debt service payments despite an unraveling socialist economy that is suffering triple-digit inflation and Soviet-style product shortages. And it boded well for the $1.2 billion interest and principal payment on PDVSA’s 2017N bond that matures on Thursday but signaled that unexplained delays are likely to persist. “DTC transferred to Euroclear at 3 p.m. … Clients will see it in their accounts on Thursday morning,” said a message sent by DTC, according to market sources. DTC is officially called Depository Trust Company, and the message referred to settlement agent Euroclear. Both DTC and Euroclear declined to comment. Bondholders had since Friday been unable to figure out where the $842 million amortization payment on the PDVSA 2020 bond had ended up. 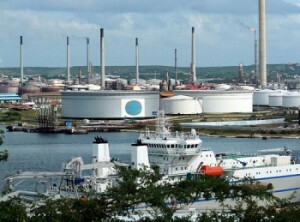 PDVSA on Friday said it had transferred the funds, but the money had not appeared on investors’ accounts. Many had described the confusion over which financial institutions were in charge of transferring the funds to bondholders. Silence from PDVSA and the officially designated intermediaries fueled market nervousness.